Sand tiger shark (Carcharias taurus) is a slow-moving fish but has a stout body. It is a cousin of the Great White and has no relationship with the Tiger Shark. It is the only shark in the world that gulps air and stores it into its stomach which helps in floating. Sand tiger shark has four species. It has a pointy head with flat conical-shaped snout. Its eyes are small with no eyelids. The upper body is greyish-brown in color. The body is speckled with reddish-brown markings. It keeps its mouth open while swimming. 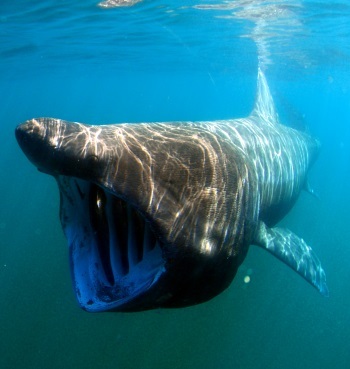 It can grow from a size range of 6.6 to 10.5 feet in length and weighs up to 350 pounds. At birth, the size of a pup is 3 feet long. It has a lifespan of more than 15 years. 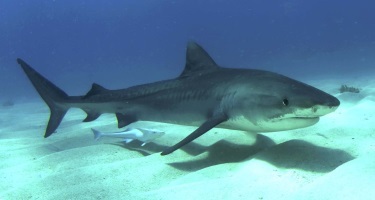 A female shark reaches maturity at 7 to 10 years of age while the male shark matures after 5 to 7 years. It has one of the world’s lowest rates of reproduction i.e. one pup each year. To the north, mating season occurs from March to April. To the south, these sharks mate in the months of August to October. These sharks are found in all the three major oceans; Indian, Pacific and the Atlantic Oceans as well as the Mediterranean. In the Atlantic, it is present from Gulf of Maine to Florida, Gulf of Mexico, from Brazil and all the way up to Argentina. In the Indian Ocean, it ranges from South Africa to Mozambique. In the Pacific, it is found in Australia and Japan. These sharks live on continental shelves and are found in coastal sandy waters as well as deep into the ocean, up to 627 feet in depth. Sand tiger sharks inhabit temperate and subtropical coasts of America (North and South), Australia, Japan, South Africa and the Mediterranean Sea. Sand tiger shark is a nocturnal (active during night) predator. It likes to prey mainly on bottom-dwelling fish like bony fish, crustaceans as well as sharks, skates and rays. It prefers to feed on smooth-hound shark. 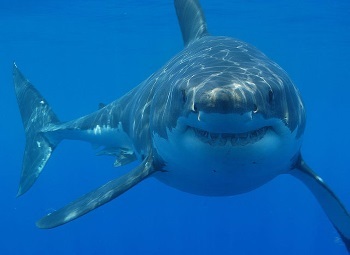 The sharks of Australia and South Africa migrate 620 miles each year. Sand tiger are docile sharks and do not pose any threat to humans.